Was it hard? Yes. Would I try it again? Absolutely. Let me set the precedent that I have a love-hate relationship with fruits and vegetables. Some days, I am a pillar of health and wellness, and other days, I am an unofficial ambassador of every fast food chain you can think of. It is what it is. Truthfully, my eating habits have slipped a bit, because I’ve been too focused on adjusting in my new job. 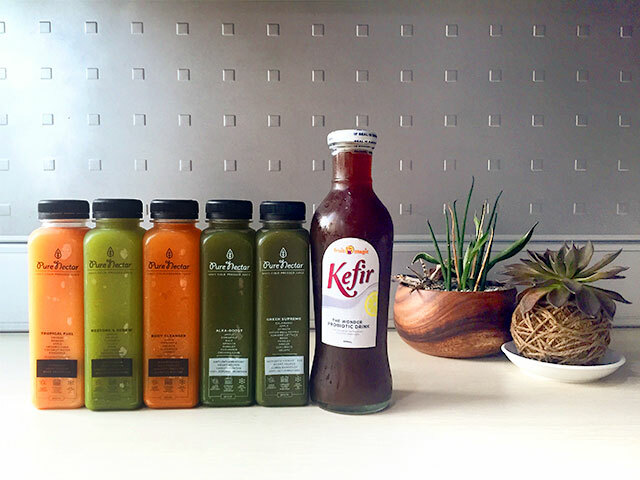 My body needed a reboot so I decided to try Fruit Magic’s juice cleanse program. 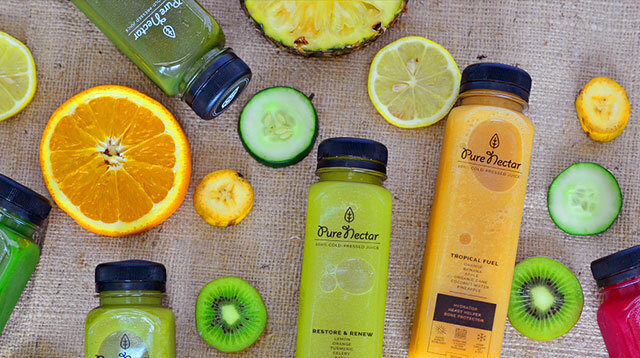 It’s a 3-day detox of cold-pressed juices that are 100% natural—no additives or preservatives. I’m no stranger to juicing, but cold-pressed juicing is different because the finished product has no pulp and more nutrients. The program is designed so you still get 1,200 calories a day, but from seven different bottles of juices. The bottles were delivered to my condo the night before my detox began, and I was advised to eat a high fiber meal for dinner ala Last Supper. LOL! It also came with Kefir, which is a probiotic drink that lets you digest the juices better. It’s important to note that the only other thing you’re encouraged to take in during the detox is lots of water! Day 1 (Cellular Renewal): I’m not a breakfast person, so not having anything to eat wasn’t an issue for me (right away). What was a struggle though was not being able to drink coffee. I wake up at 4 a.m. every single day so nakasalalay talaga yung buong umaga ko sa kape. I had my first juice drink instead; it was the Mega Omega, which I LOVED, because it had banana! It also had kale—something I am not a fan of—but bananas are really good at masking unwanted or less desirable ingredients in smoothies and juices. One of the things I worried about before the cleanse was headaches. I get really bad headaches when I don’t eat, but the program warned me about it ahead of time. It happens, especially when your body is in a state of "healing crisis." It wasn’t too severe so I continued my fast. The rest of the day went well. No complaints! Day 2 (Liquid Burn): The first drink I had was the Cold Defender, which had pineapple, orange, and carrot. It was good, but because I was starting to feel hunger pangs, the acidity of the drink wasn’t something I appreciated. One of the drinks that surprised me was the Olympian. It has red beet, which is something I usually avoid, but it was one of my favorite drinks in the entire program. Because of poor planning, I totally forgot about an all-day job orientation I had right in the middle of this juice cleanse. My energy level was really low, so I couldn’t concentrate. I also felt rude about having to go to the restroom every 10 minutes (read: smallest bladder in the world). Plus, I was just in a horrible mood. Do you see where I’m going with this? No? Ok, I cheated. I cheated HARD. But before you write me off completely, I jumped back on the bandwagon and had the Green Supreme! Day 3 (Antioxidant Day): The final day was much easier than the second. It was like my body had accepted the state it was in. I also didn’t automatically reach for the coffee anymore! If that’s not progress, I don’t know what is. 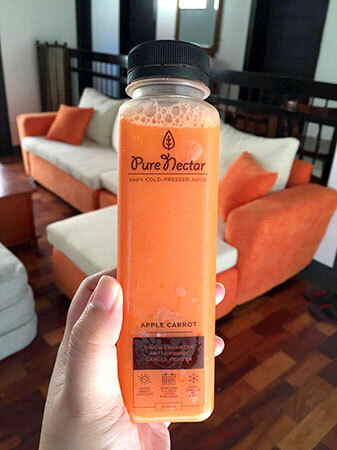 Every day had a different juice cycle and I got to have Apple Carrot twice that day, and it was like the clouds parted. 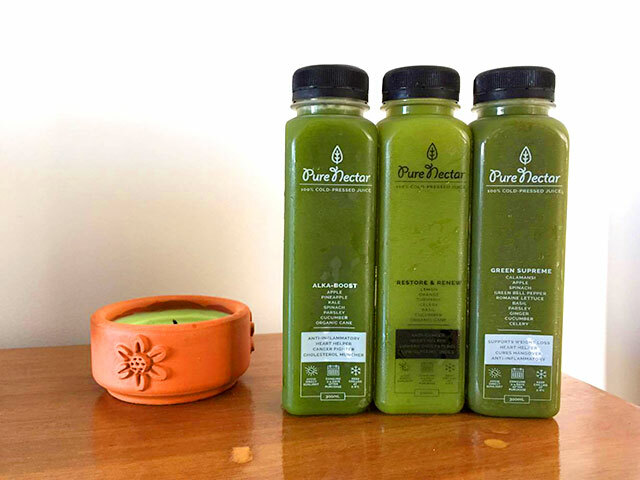 Overall Experience: I definitely felt lighter after the cleanse. I’m not going to pretend that it was easy! You definitely need to change your mentality before attempting a juice fast, so you don’t feel deprived. And you really have to listen to your body every step of the way. It also helps to consider the more important benefits of this detox. For me, it was less about weight loss and more about rebooting my system, and that’s why it was worth it! If you want to check out my entire juice program, please visit Fruit Magic’s Facebook page.